Bolívar’s dream of creating a mega-territory, Gran Colombia, composed of Venezuela, Colombia and Ecuador, collapsed through in-fighting. Instead, in 1830, Venezuela became a sovereign state, led by José Paéz. The precise territorial limits were not, however, well defined, and Venezuela's borders have since been subject to periodic disputes. The exploitation of the country's substantial oilfields began in 1918 with an oil boom similar to the cocoa and coffee booms of the 17th and 19th centuries. In each case, the wealth was largely export driven, making a small elite spectacularly rich but failing to develop the country’s wider economy, leaving the majority poor and exploited. Widespread political corruption was the norm and despotic military leaders ran the country throughout most of the first half of the 20th century, until democracy was introduced in 1958. In the 1980s, successive governments struggled to stabilise the country in the face of persistent social unrest and in 1992, a number of army units launched an unexpected military coup that was suppressed by loyal army units but introduced the world to its charismatic figurehead, Colonel Hugo Chávez. Five years later he formed his own party then fought and won the 1998 election. Further polls in 2000 secured his position and, de facto, an endorsement of the constitutional changes that he planned, which increased presidential powers. Land reforms and a nationalisation programme boosted the government’s popular appeal, but sparked strong opposition from both the ruling classes and international business interests that typified the Chavez era until his death from cancer in 2013. His successor, Nicolas Maduro’s term in office has been characterised by protests and the suppression of his political opponents as Venezuela has lapsed into an economic, political and social crisis. Food and medical shortages have become commonplace and basic goods are rationed. Violent crime has also reached an all-time high with a record 28,479 people killed in 2016, according to the independent group the Venezuelan Violence Observatory. 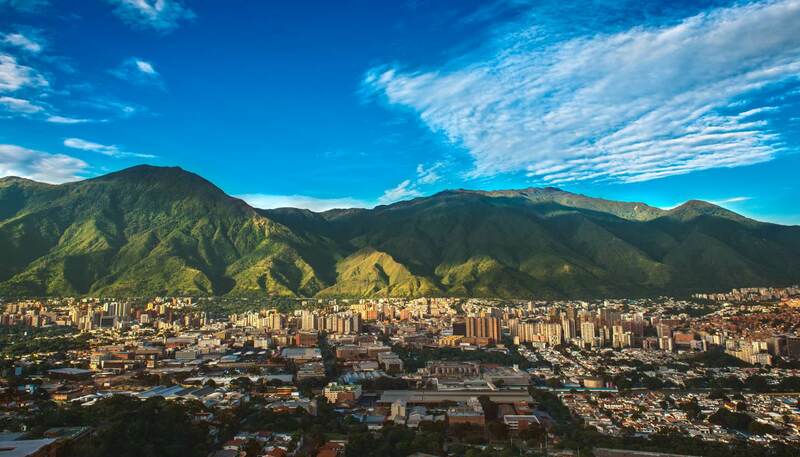 •	Venezuela is one of 17 mega-diverse countries, habitats range from river deltas, Caribbean coast and extensive plains to rainforest, cloud forest and the Andes mountains. •	Venezuela has the world’s largest oil reserves and is a founding member of OPEC. •	Venezuela first formed a professional baseball league in 1945 and today baseball is the nation’s most popular sport..